PLAYING THE NORTHERN CARD – WAS PREZ MILLS KILLED TO MAKE WAY FOR A NORTHERN CANDIDATE? Ladies and gentlemen of the media, the young patriots have called this press conference to address the dangerous campaign message of President John Dramani Mahama and the National Democratic Congress (NDC) that President Mahama deserves to be President simply because he is a Northerner. First and foremost we are all Ghanaians and what keeps us together is more than that which divides us. The Ghanaian society has so intermarried that it is difficult for most people to genuinely say today they come from only one part of Ghana. Ghana has never slipped into civil or ethnic conflict because, as a people since independence we have put policies and programs in place to ensure fair representation of all ethnic groups in the country. This has ensured that out of about 9 Presidents this country has had, two have been Northerners including the current President. To seek to imply that no Northerner has ever ascended to the high office of President is not just historically incorrect but also malicious and evil, intended to divide and rule this country. NDC gurus such as Johnson Asiedu Nketiah, the General Secretary and campaign manager of President Mahama, stated inter alias that Northerners have now got the chance to elect one of their own to become President. Dr Tony Aidoo, director of research at the Presidency who sees nothing good in any Ghanaian but himself, makes the point that it is time for a full blooded Northerner to become President than a half baked Northerner as Vice President. These statements by NDC scribes are to say the least dangerous, myopic, ethnocentric and a recipe for civil war in Ghana. 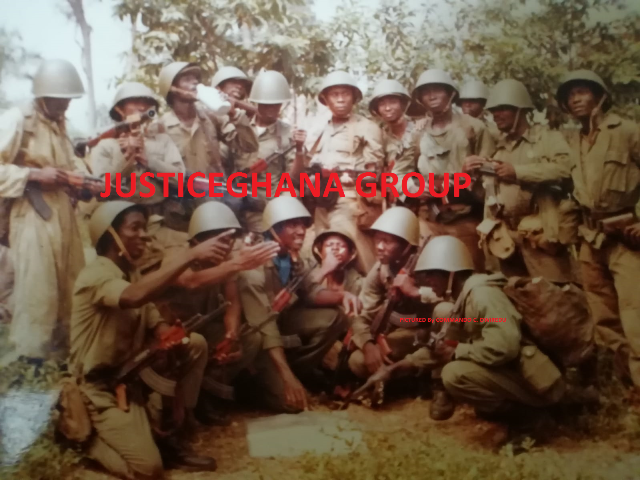 Ladies and gentlemen, the Young Patriots are well aware that Northerners are very discerning, well meaning and very intelligent people who have contributed immensely to the development of this great country called Ghana, however the President of the republic of Ghana cannot be allowed to get away with his ethnocentric and genocidal message. Ladies and gentlemen, is the President in his desperate attempt to win power telling Ghanaians today that he is a President for only Northerners? Ghana deserves better than a greedy President who for his own parochial agenda wants the country to go up in ashes. Let it be noted that President Mahama categorically states that he has been Vice President for three and a half years and that Northerners have been Vice Presidents for the past 12 years and are fed up with it because they deserve better. Did the President spend the past three and half years trying to get rid of President Mills to fulfil his ambitions to be President? Ladies and gentlemen of the media, there are too many coincidences surrounding the death of President Mills that makes us believe that what President Mahama said about no longer wanting to be Vice President, was a confession. This is to the effect that President Mills was gotten out of the way to fulfil his Northern agenda. First and foremost, it is mind boggling that three months after the demise of President Mills, Ghanaians do not know the cause of the death of an otherwise healthy President. The circumstances of his death, where he died and how he died and even the time he died as told by NDC gurus such as General Mosquito and Dr Kwabena Adjei, suggest a grand scheme by the NDC and President Mahama to eliminate the former President. Mind you ladies and gentlemen, the women organizer Anita Desoza is on record to have said the death the good old Prof was good riddance, as it would have affected the chances of the NDC if it has been later had he lived any longer. It is our firm believe that, the President being unable to use the office of the departed President, his continuous use of the office of the Vice President after several months of his death of Prof Mills is further attestation that the President has something to hide. Ladies and gentlemen, we are stating unequivocally that President Mahama has brought the office of the President into disrepute and his continuous use of ethnocentric messages, the quest for a Northern President by any means necessary even at the expense of another life is to say the least distasteful and wicked. 1. We Young Patriots wish to call on the Christian council of Ghana, the Muslim council, NGO’S, statesmen all Northerners ,the Northern peace council ,the Northern regional house of chiefs and the Council of State to in no uncertain terms condemn the comments of the President. 2. We are by this press conference asking the President to unreservedly apologize to all Northerners and the people of Ghana for such tribal comments. 3. Failure by the President to apologize and we the Young Patriots will deem it to be ok to make similar calls. 4. In the matter of 72 hrs after this press conference, If we do not hear from the President, we shall go out there and campaign that all Southerners should vote for a southerner to become President. We dare anyone or state institution to call us to order after we take such a step. We would be learning from the President and if he is not wrong, we cannot be wrong. It is our sincerest hope it shall not come to this, but this is no threat for we would be responding to the President’s call.